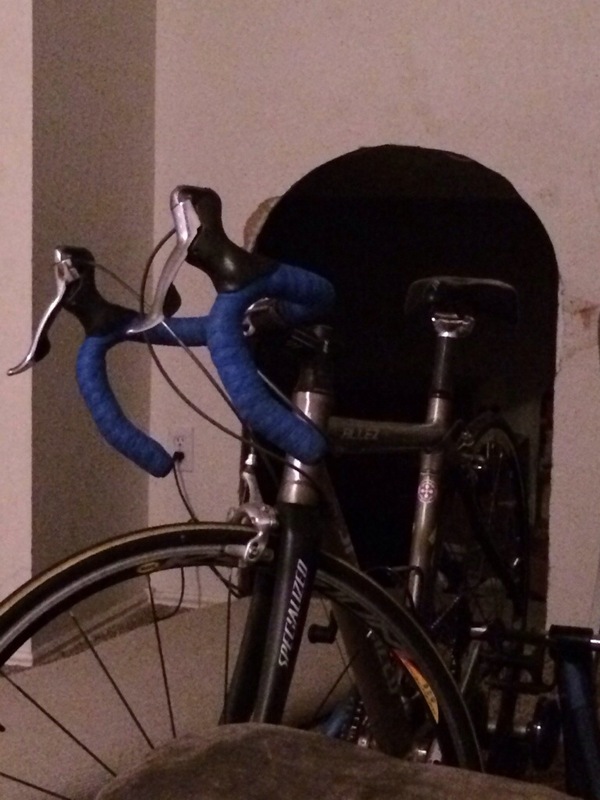 Well… After I got the kids off to school (I had an hour and twenty minutes to myself) I rode the bike. Yeah… I rode for 1:05.04. For the afternoon… The girls played with their friend here at the house. It really made my day! My dear friend Julie A. has been sending the most uplifting messages… Josse has helped give me pointers on different ways to cross train… Etc… I have great friends that are such great examples. Corom (my husband) has also been so great! He has also been very supportive! 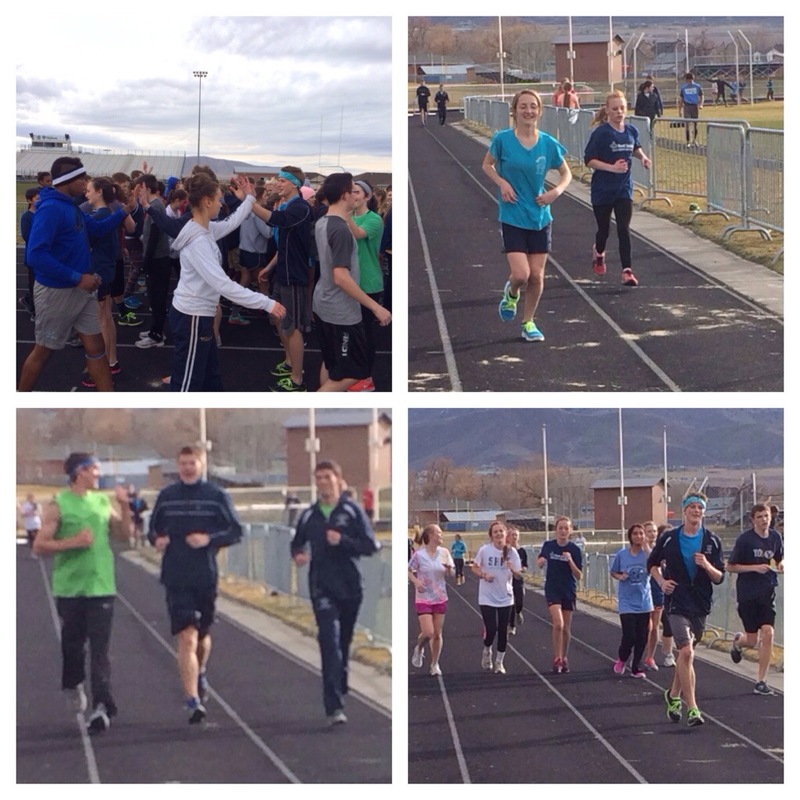 Anyway… At track practice the kids went on 1 1/2 mile warmup. Then ran a 2 mile tempo at 1 minute slower than their mile race pace with a mile recovery jog after. They lined back up and ran a mile at 45 seconds slower than race pace with a 2 mile cool down. 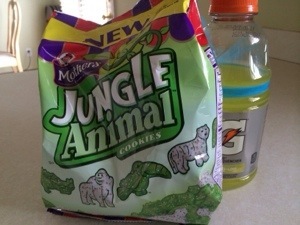 It was a tough workout but they did well. I do have a lot of my kids complaining about shin splints. 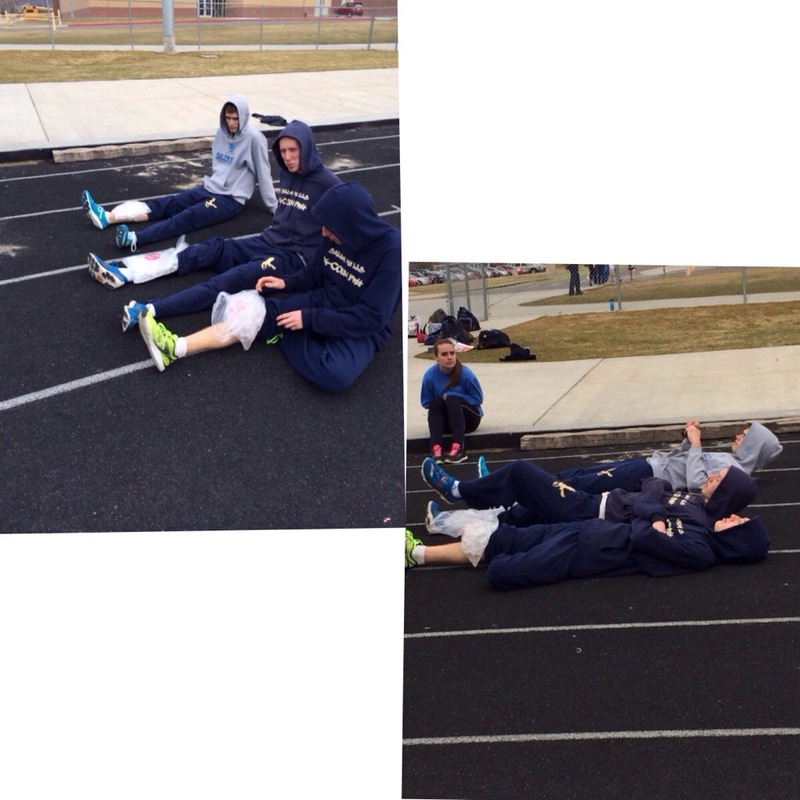 They obviously iced after the workout and we will work on strengthening their muscles around their shins. After dinner, the girls and I ran up to help with my mother-in-laws wedding (it’s tomorrow). 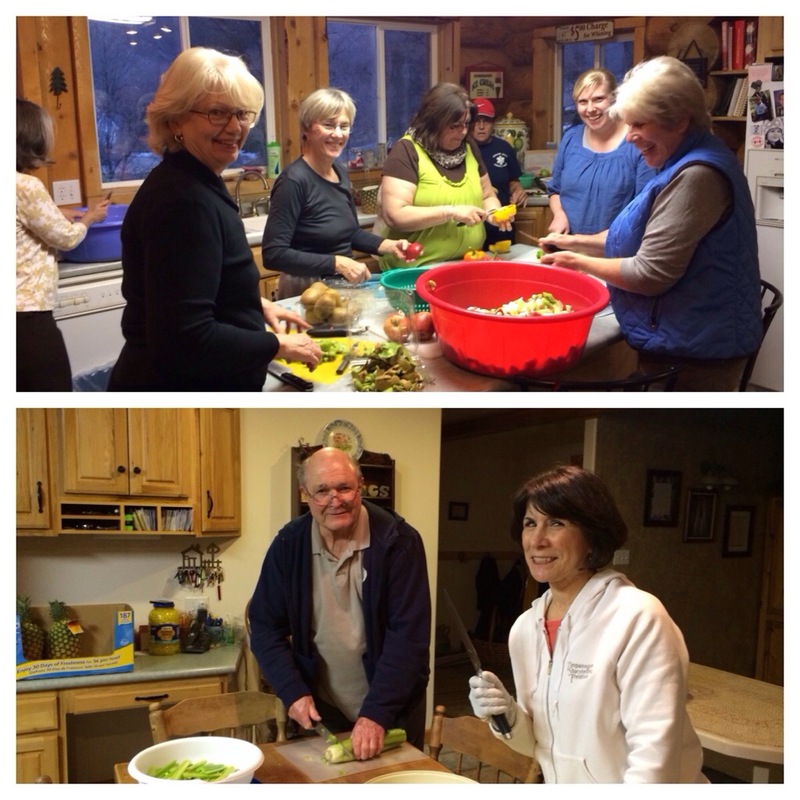 Corom had scouts… We spent a little while cutting up fruits and vegetables. It went by fast with all the help. 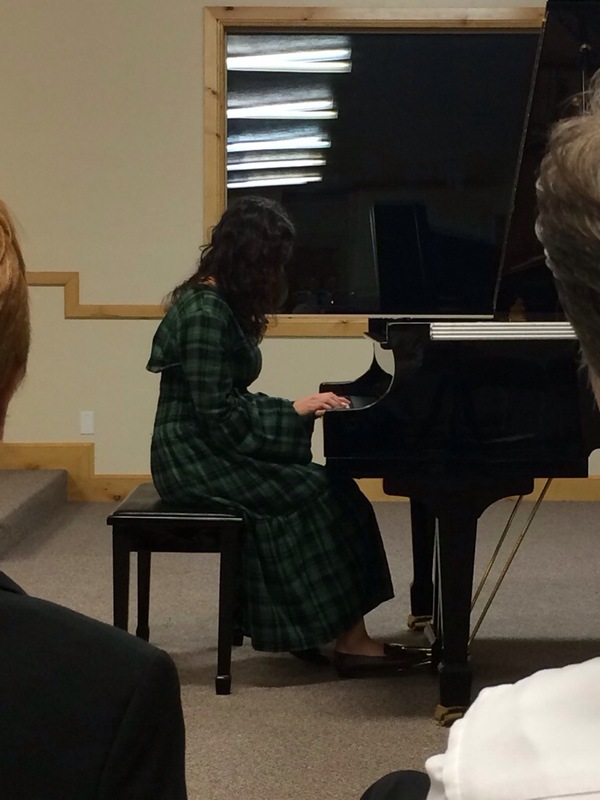 After, we hung out with my in-laws for a little while and then Z (our foreign exchange student) and I went to her piano recital. She played really well!